The Primitive Methodist church was an early 19th century (1807) secession from the Wesleyan Methodist church and was particularly successful in evangelising agricultural and industrial communities at open meetings. In 1932 the Primitive Methodists joined with the Wesleyan Methodists and the United Methodists to form the Methodist Church of Great Britain. This chapel in the centre of the village of Little Snoring was my own Sunday School for a number of years. I remember it only as a church, but now it is a private house. At one time my Great Aunt Polly was given accommodation in the Chapel Cottage. The land was owned by my ancestors. 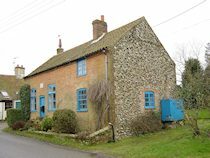 A stranger passing through Little Snoring on the way to Walsingham or Wells might readily be forgiven for failing to notice the Methodist Church almost opposite the Post Office. The only features distinguishing this unpretentious building from the surrounding property are its somewhat larger windows, an inscribed stone let into the wall above the doorway, and a Notice Board. The stone inscription reads: “Primitive Methodist Church 1860”. It is not easy to determine the age of the actual building, but there are very good reasons for believing that its origin goes further back than the date given on the stone, The Trust Deed gives some very interesting information. 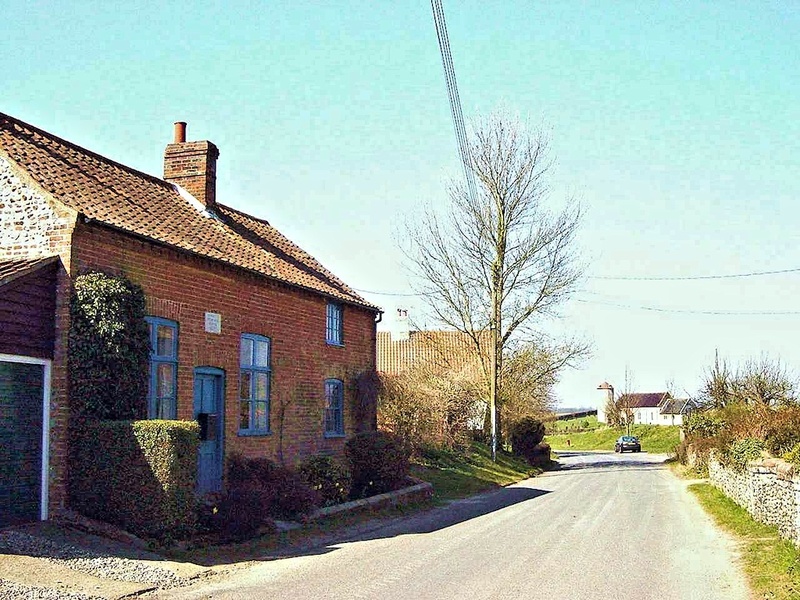 Bargain and Sale of Cottage and Premises at Little Snoring. Between William Tuck, Schoolmaster of Little Snoring and Thomas Christmas Parker, John Bushell, John Ramm (Lt. Snoring) William Bray, Todd Bray (Lt Snoring) Robert Applegate, William Bell (Fakenham) Thomas Wright (Hempton) Henry Howard and John Norman (Colkirk). Bought for the Sum of Forty Pounds of Lawful British Money. Upon special trust to the intent at the Chapel or Meeting House and School shall be erected thereon by the members of the said Primitive Methodist Connection. The present chapel was formerly a workshop or something of that nature, the cottage (today known as Chapel House) was sold in 1958. It was not until 1860, however, that the building was registered for worship as a Primitive Methodist Church in the Fakenham Circuit. Very little seems to be preserved of those early days. The congregation sat on movable forms facing the wall nearest to the house. The pulpit in those days was much higher than the present one. At a later date the seating was re-arranged as at present with permanent pews. The Chapel was also enlarged, an addition being made at the rear of the building. That accounts for the two supporting pillars and the low roof at the puipit end. At the same time the present pulpit was installed. 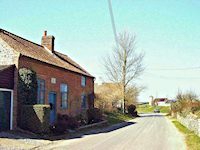 In 1898 a Mission Van was stationed in Sculthorpe and Little Snoring. This mission was known locally as the “Gypsies’ Mission” and was the means of bringing many into the Church and Kingdom. Among those converted at Little Snoring were some who eventually became the leaders of the Society. Included in their number were Charles Mann, William Lown, George Allcock, William Alcock, Alfred Bugdale, Benjamin Nobes, William Emms and James Bugdale and his wife. In 1930 a copper house was built, and in 1931 a window at the pulpit end of the Chapel was replaced by a pair of glass doors to give easier access to it. During World War II the Royal Air Force stationed in the village gave a large table which the Trustees were pleased to accept and use as a Communion Table. There are, no doubt, other interesting and important facts worthy of a mention in this brief history. Unfortunately, however, very little seems to have been preserved.